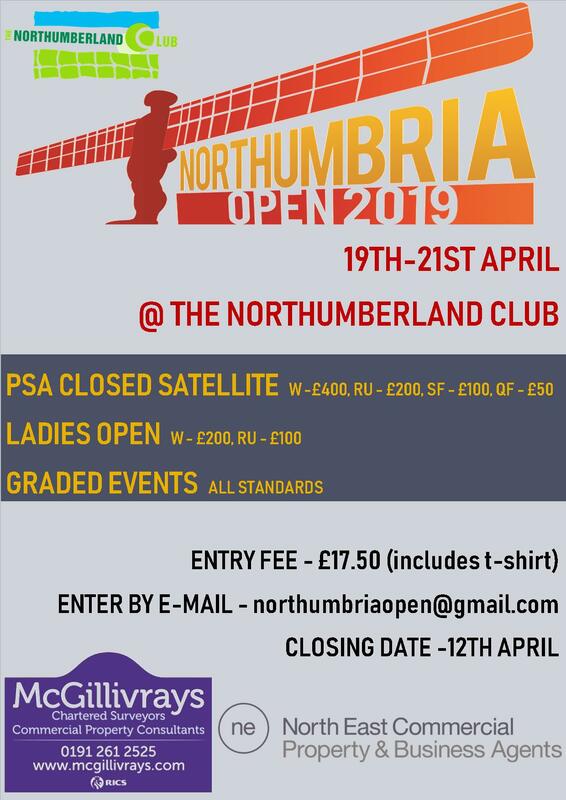 The Northern Cup has been running for three years now and is aimed at junior players sitting on the fringes of their respective County teams. 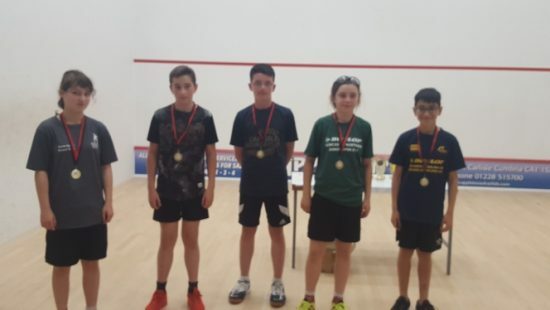 This year’s edition took place at Carlisle Squash Club and featured teams from Northumbria, Cumbria, Lancashire, Cheshire, Durham and Cleveland and last year’s overall winners Yorkshire. 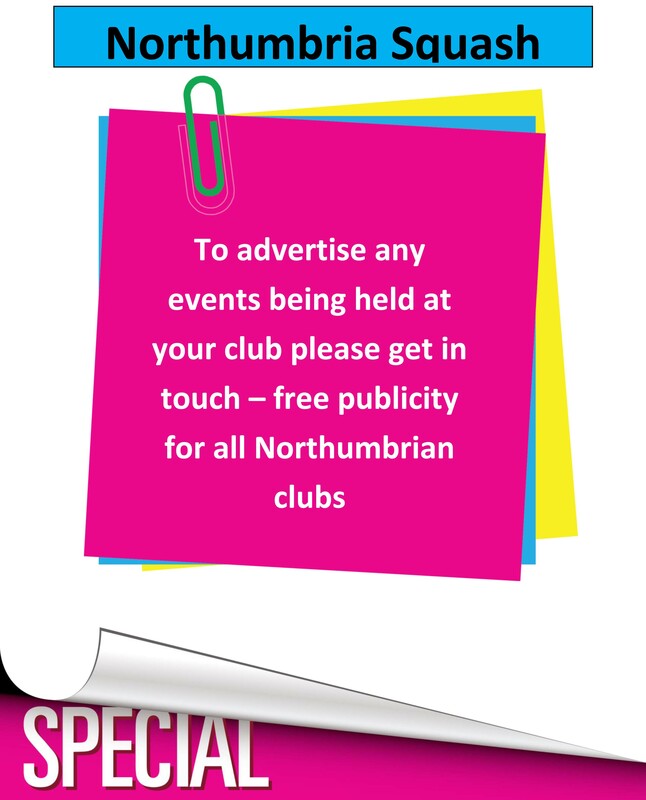 The teams were split into school year groups and Northumbria sent three teams. 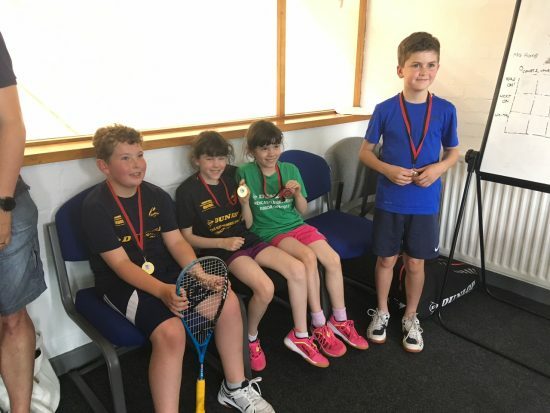 The year 5 team featured Tynemouth’s Ethan Brown, Jesmond’s Tom Watts and Patrick Mallen and Northern’s Kate and Ava Nesbitt. The team performed brilliantly with some of the Carlisle locals becoming adopted fans after being so impressed. 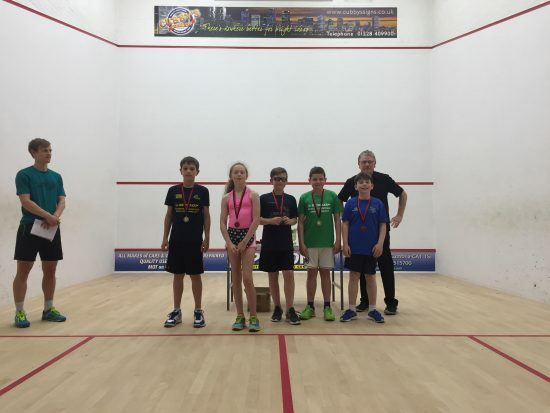 They only lost out to Yorkshire in a close 2-1 who went on to win the event with our kids finishing a close second. Northumbria’s year 6 team starred Northern’s Ben Tudor, Matthew Mahoney and Ryan Cockett, Tynemouth’s Charlie Took and Jesmond’s Mille Evans and James Moody. Despite finishing in 3rd place the team could so easily have been first, closely losing out 3-2 to strong Yorkshire and Lancashire teams. The year 7/8 team included Tynemouth’s Lewis Cruz, Hexham’s Luke Radley and Northern’s Oisin Gorman, Rebecca Grogan and Libby Foster. With a dazzling start against Lancashire things were looking good in the group stage but the team again lost out to Yorkshire (the next time we have a team to beat Yorkshire I’m declaring it in capital letters). Lewis Cruz had the performance of the day losing out 3-2 to Yorkshire’s Eddie Murray on one of the show courts. I don’t think I’ve ever heard such applause at Carlisle before with the crowd thoroughly appreciating the physical effort and court craft displayed by both players. The team went on to beat local rivals Durham and Cleveland in the 3/4 playoff to finish off an impressive day. It was a great weekend and as usual all our juniors performed and behaved brilliantly. The parents weren’t half bad either… running the event myself meant I couldn’t help out organising and watching the teams so a big shout out to our team captains and vice captains! Hopefully the event will continue, I know our kids took loads from it and got a chance to play team squash which is undoubtedly one of the best experiences the game can offer.